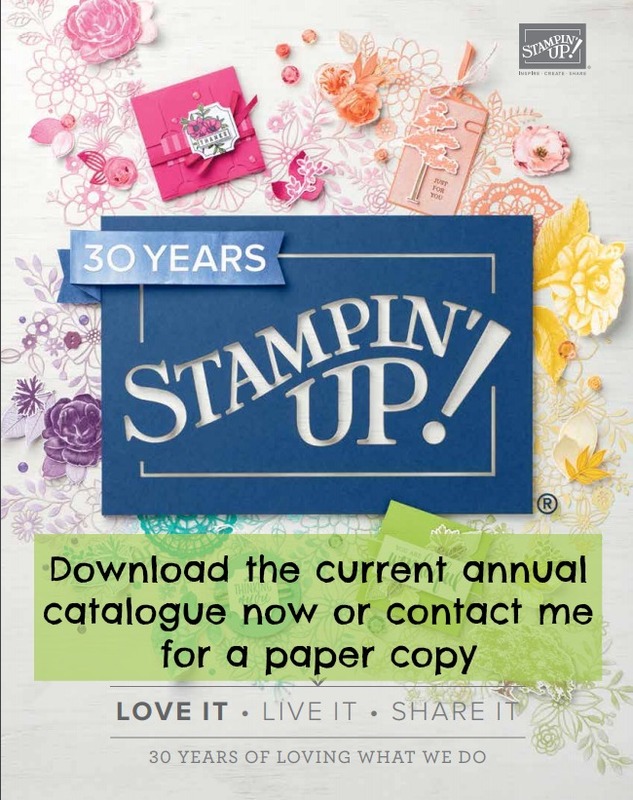 This little cute 3x3 folded card was made for a swap group I was in to showcase products from new Stampin' Up!s Autumn Winter Catalogue launched to customers on 1st September 2017. 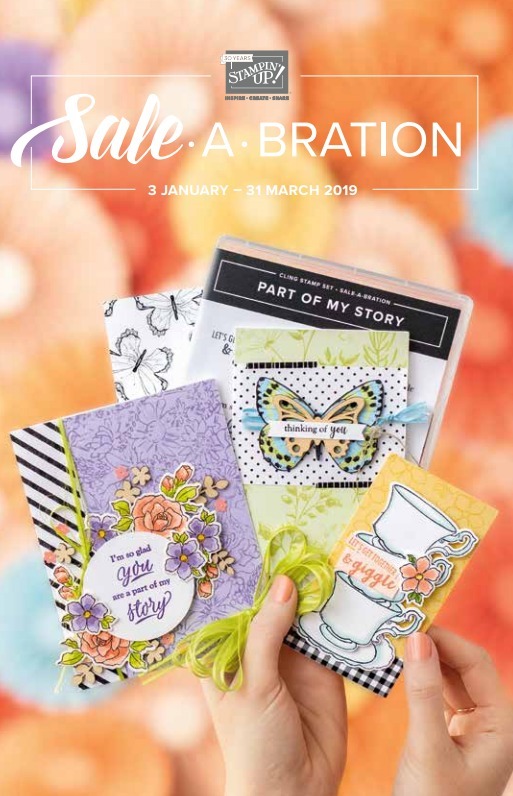 It's quite a large group so we were split into smaller sub groups to share a project solely made with goodies from the new catalogue. Apologies for the lighting on the photos the sun was in an out while I was filming and making and taking the photos so there was all kinds of hues and shadows going on. I went with something pretty straightforward and didn't overdo it with products as I wanted to show how you can make something quite cute and contemporary with not very many products at all to encourage new stampers into the fold who may be daunted by the amount of things needed to make some cards. The set I went with for the majority of the stamping was Wonderful Life and I could have just stuck to this one entirely. 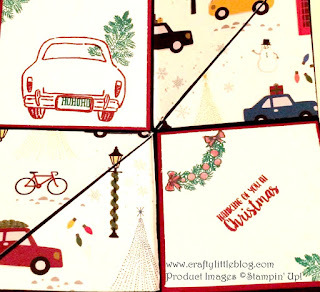 the only move away from it was for one little sentiment stamp for the inside from another set, Season Like Christmas. 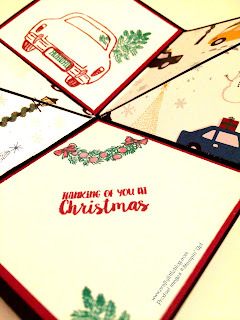 I used a black 6x6 inch origami type fold base and then added Cherry Cobbler cardstock mats to three of the full squares on the front, inside front and inside back of the card. I added triangular pieces of a paper from the Christmas Around the World designer series paper (DSP) set. 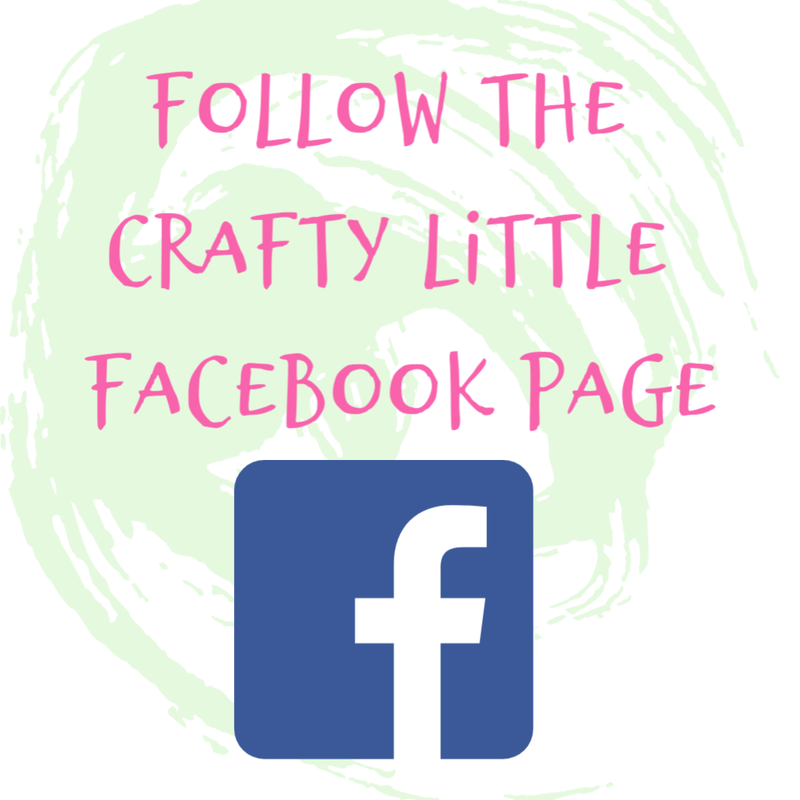 I spotted the fold on a birthday card from the lovely Fiona Whitehead, please do go visit her You Tube channel by clicking this link and you can see some of her fab creations. I thought this fold looked interesting and definitely worth giving a try. 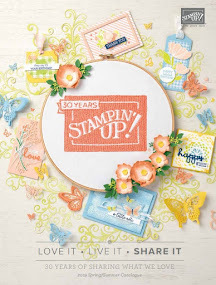 I love how it turned out and it gives you so many sides to write or stamp on so you can make a really interesting card. The one from Fiona was larger than this but I managed to work out the dimensions to make it smaller easy enough, just keep it square I think is the key. To the three Cherry Cobbler mats I added a stamped layer of Whisper White. I wanted to go with the theme of the DSP which to me conjures up feelings of that Christmas prep, getting everything ready for the festive wind down. I love the almost Lowry like yet whimsical feel to this design and so I went with that in my quite minimalist approach to stamping and choice of stamp set, carrying through the red and green of traditional Christmas. I stamped the wreath images using Emerald Envy ink and filled in the baubles and bows with an aqua painter using Cherry Cobbler ink. I didn't go for precision, I wanted that whimsical feel to carry through and if you know me you know I'm not a stickler for precision, I like the slightly 'off' it's what makes hand made special to me. 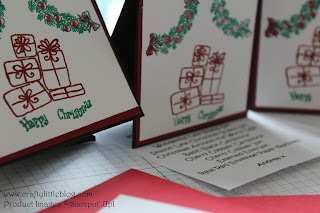 I used Cherry Cobbler to stamp the gift stack on the front piece and went back to Emerald Envy for the cute little Happy Christmas. On my prototype I had things looking a little more haphazard and I used the Happy Christmas stamps in a different way and didn't paint in the baubles and bows... I quite like both to be honest. 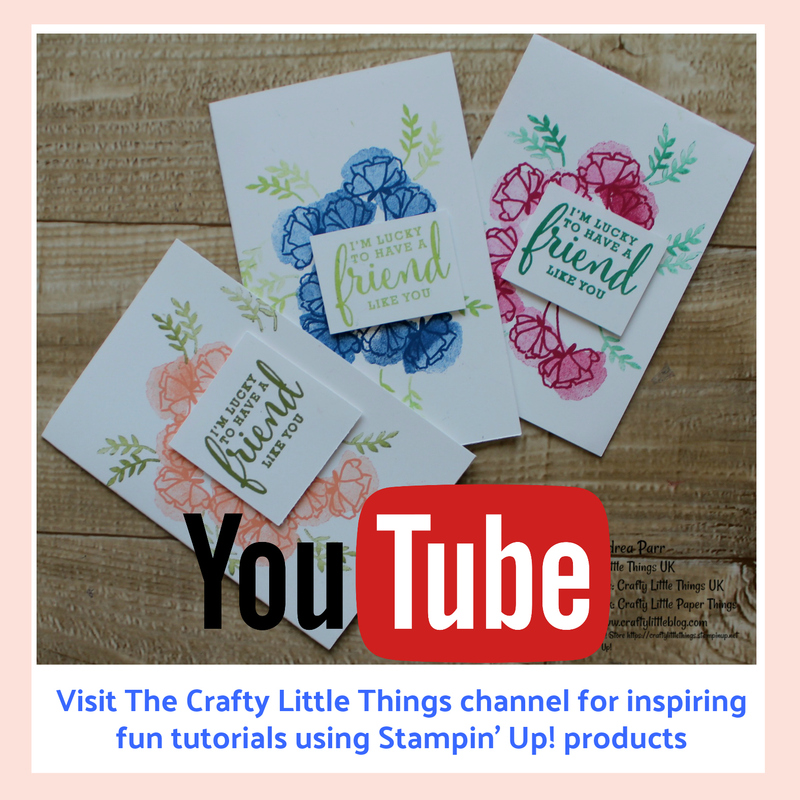 These are such tiny stamps they are great for a tiny card or gift tag but would make a lovely hand stamped piece of tissue wrap or hand made DSP. The fact that the two words come as different stamps also gives lots more options for their use. Inside I used the car stamp and the partial tree/branch stamp again in Cherry Cobbler and Emerald Envy to create the car bringing home a huge tree kind of scene and added the tree/branch stamp across the corner just to break up the whiteness a bit. I also stamped HO HO HO in Emerald Envy into the number plate as a whimsical touch. For the final Whisper White layer I used the wreath stamp again and the branch stamp again in Emerald Envy with a touch up using the aqua painter of Cherry Cobbler just to make it a little different and to add that extra hand made feel. 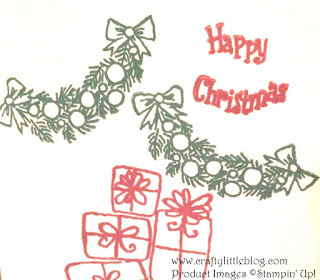 I stamped the sentiment from Season Like Christmas across the middle and left clear space to write a greeting. I then made envelopes using the Envelope Punch Board (EPB) to fit a 3.5 inch square card just to give that little extra room as once this card is folded it is quite thick. 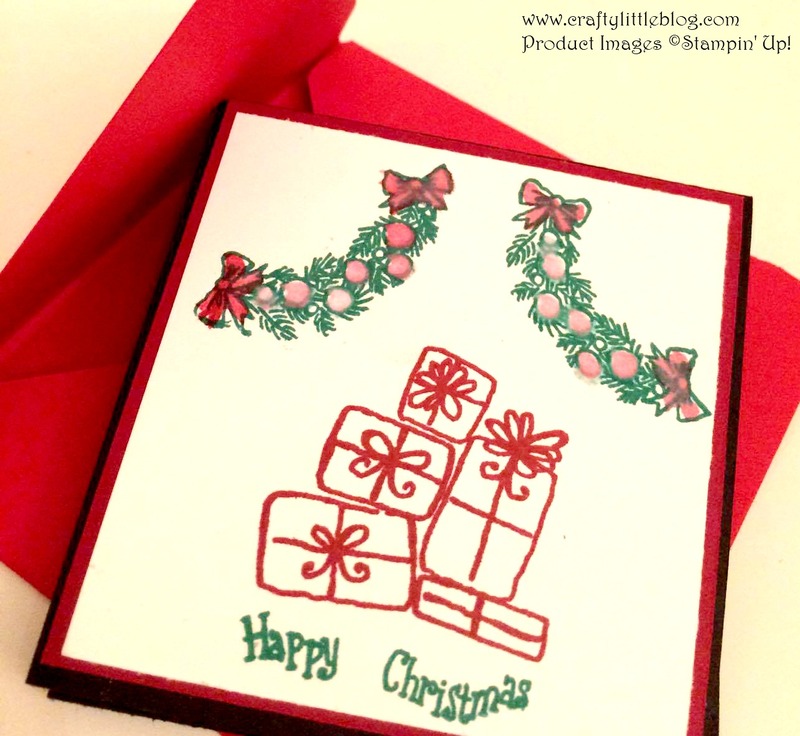 I used retired Real Red envelope paper for that and needed a 6x6 square for each envelope which fit perfectly and was super easy to make using the EPB as always. So that's it! You could add a belly band or a band of ribbon to tie the card together but I like that once it's out of the envelope it pops up a little. I am making a video tutorial of how I made this card if you need any help with the scoring and folding you might want to have a look at that. 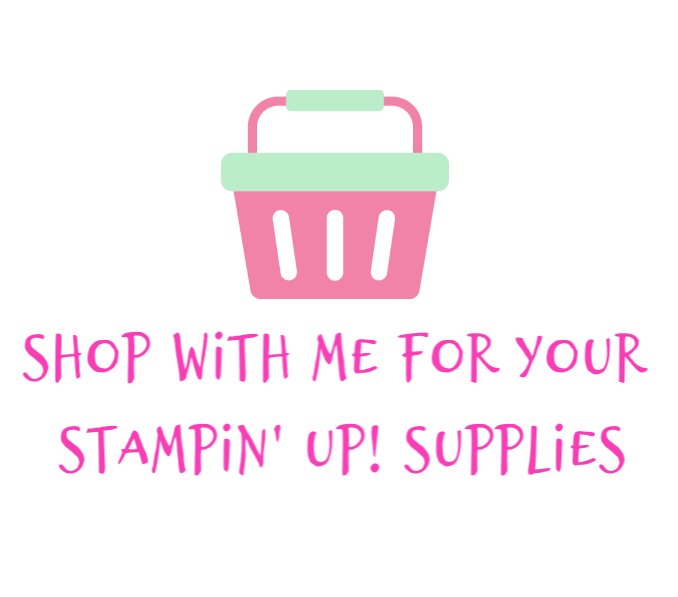 I've linked all products used below so click away to be taken to them. Thanks for dropping in and have a great week. Click here to shop online with me from the Autumn Winter Catalogue.